East Cape Real Estate, East Cape properties, East Cape homes, East Cape construction, East Cape beach properties, East Cape custom home builders, East Cape lots for sale. East Cape Real Estate on the Golfo de California is one of the hottest markets on the Sea of Cortes side. It is located 120 kilometers (75 miles) south of La Paz and 70 kms (45 miles) north of San Jose del Cabo, about an hour or less from the Los Cabos airport. East Cape is a 46 mile stretch of virgin coast between La Playita and Los Barilles, not far from Los Cabos, yet a world away from the bright lights and modern tourist attractions. A trip to the East Cape will make you realize how relatively new Los Cabos is and if you are prepared to make the effort to brave the rugged terrain, you will be rewarded with spectacular desert scenery and pristine beaches. Buying some of the last available beachfront property in Los Cabos at a reasonable price is a sound long term investment for the future, similar to purchasing land in the corridor 13 years ago. This region is ideal for relaxation, diving, snorkeling, fishing, swimming, sunbathing, hiking, kayaking and windsurfing. To search the latest property listings click here. 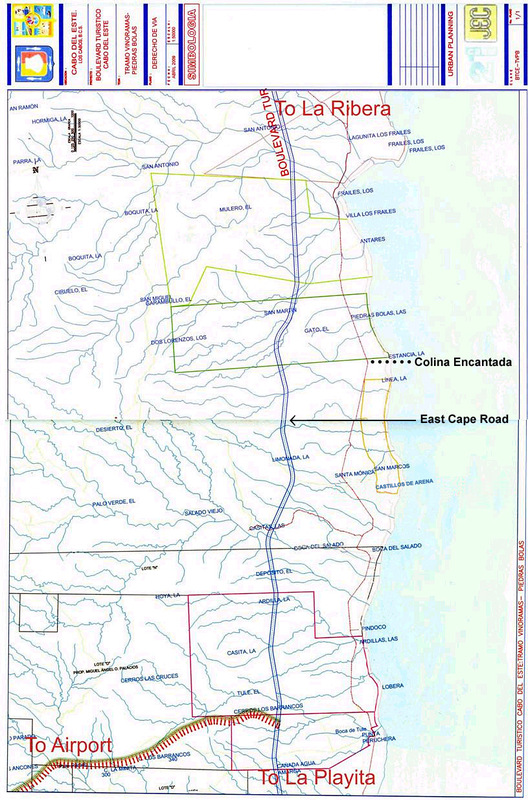 This is the East Cape Highway Plan from Vinorama to Los Frailes as presented to the property owners April 08, 2009. The plan is to start construction soon from the Playita and from the Airport to give the developer, Grupo Grande Coral immediate access to their properties in the Salado area. Grupo Grande Coral is providing the funds to construct the road. 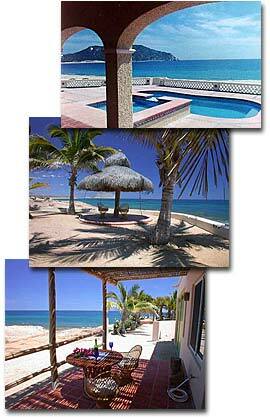 Visit our East Cape Villa Rentals web site!